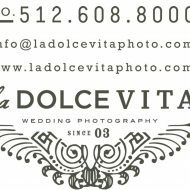 La Dolce Vita Wedding Photography provides wedding, engagement, and bridal photography sessions in Austin, San Antonio, Houston, Dallas, the Hill Country, and Central Texas. Additionally, we are available for destination weddings. Sessions are shot on location with a principal photographer and an assistant and/or second photographer. We believe that every wedding is as different as the two people tying the knot, and the journey that led them to the altar. You can step on a glass or stand in the surf, yet the universal elements of a wedding day remain constant. The butterflies in the stomach, laughter, moving toasts, the magic. One of our greatest joys is bringing all the different threads that make a couple who they are and weaving them together to tell a true story of their wedding day. Our photography artfully captures what unfolds organically. Preparation for us begins long before the wedding. We get to know you and your priorities. The more we know, the better we are able to capture what is most important to you, and the more unobtrusive we can be. We have found that the most natural photographs are taken when people are unaware that we are there, catching that private laugh or candid moment. We are also big believers in creating heirloom albums & books for our clients. Although digital files are great for archiving, nothing brings back memories like holding a book in your hands that’s been skillfully crafted to tell the story of your wedding day. 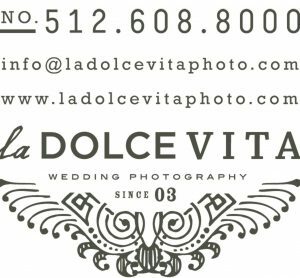 Because we are a boutique photography studio, we limit the number of weddings we photograph each year. Please contact the studio for current rates & availability. Film. And digital. I love how using film translates reality into images that are velvety and have an immediacy about them. I love digital for it’s crisp feel and instant gratification. Enough to give you plenty of сhoices. We typically have more than one photographer at a wedding. Second photographers allow us the flexibility of being in more than one place at the same time and capturing events that happen simultaneously. Like any five-star service: ever-present, but nearly undetectable. How would you describe the feel of your images? Elegant, yet whimsical. Artsy, yet classic. Timeless and You. No. As a boutique studio we firmly believe in quality over quantity. We typically cover one wedding per weekend to ensure our clients get the very best from us. What kind of camera don’t I use! I have several Canon 5Ds, a Canon EOS V 35mm film camera, a plastic Holga, a professional Medium Format film camera, and sometimes I’ll even snap a digital Polaroid on my iPhone.